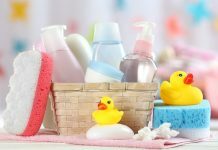 – These green diapers will save you money as well! 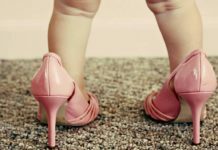 The war between cloth and disposable diapers rages on, but most environmentalists will tell you that cloth wins, hands down. We’ve collected some of the most fashionable, eco-friendly cloth diapers on the market today (most available for order online) that make it easy for you to diaper your baby comfortably but without the environmental mess of disposables. 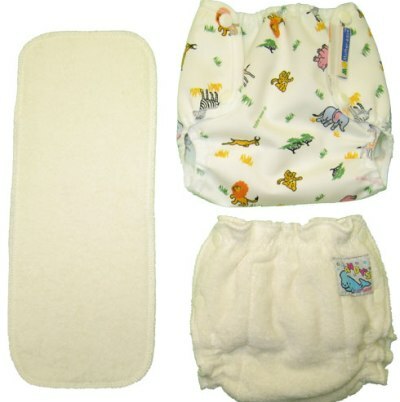 Get the ultimate in eco-friendly diaper fashion with gDiapers. 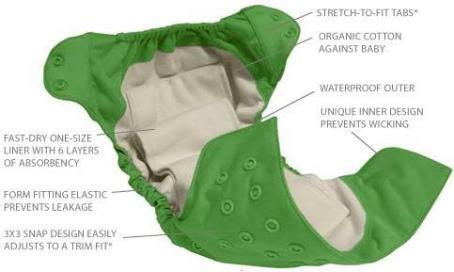 Made without elemental chlorine, perfumes, plastic layers, inks, dyes, or latex, these amazing green diapers are Cradle to Cradle certified for complete environmental sustainability. The covers come in a wide range of cute and handsome styles with 100% biodegradable, flushable diaper liners to go inside. Swaddle your baby in an ECONAPPI made with organic cotton velour liners. 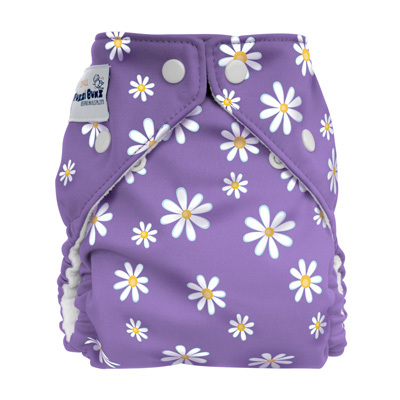 These pocket organic diapers have an opening into which the liner slips to provide no-shift dampness protection. 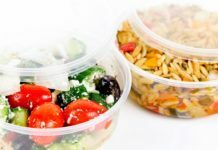 Plus, you can choose from either snap or hook & loop closures depending on your preference. Select your organic diapers from an adorable array of PUL waterproof outer designs. Add some pizzazz to your baby’s diaper wardrobe with these outer diaper shells by BerryPlush. 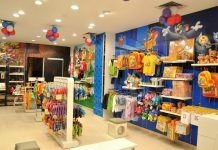 Let your imagination go wild as you design a look that suits your baby’s personality (or your own). 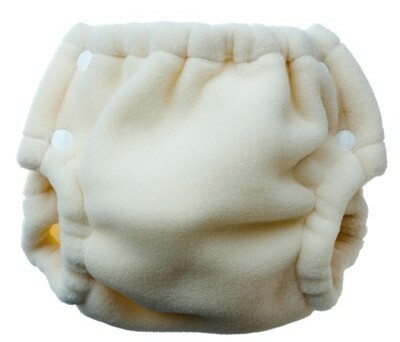 These cloth diapers are made with a soft Minkee inner layer; a soaker made of hemp, and can be adjusted for front wetters, middle wetters, and back-sleepers. 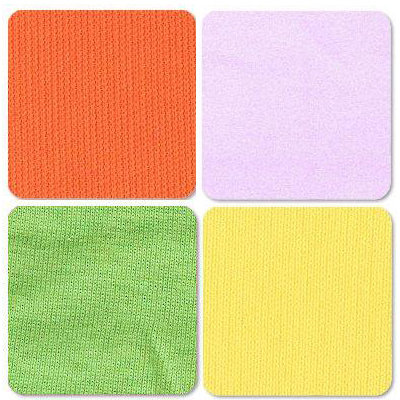 Array your baby’s bum with brightly-colored bumGenius Organic Cotton diapers. These are made one-size all-in-one, so they’ll adjust as your baby grows and are constructed of 100% organic cotton. The two layers of snaps ensure a trim fit. 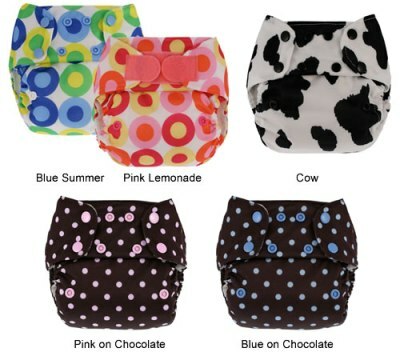 FuzziBunz carries a variety of styles for baby, including these cheery one-size diapers that grow as your baby grows. 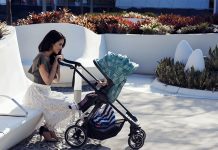 They will expand to fit your baby from 7-35 pounds, and yet continue to provide snug protection against leaks. Their patented fleece layer protects against wetness and rashes while the PUL outer waterproof layer keeps clothes dry. 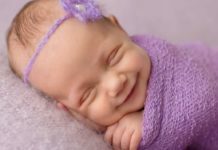 If you’re a do-it-yourselfer and want to construct your own stylish diapers to coordinate with your baby’s wardrobe, drop by Very Baby where you’ll find cloth diaper patterns, fabrics, and other accessories for making the switch to cloth simple and easy. 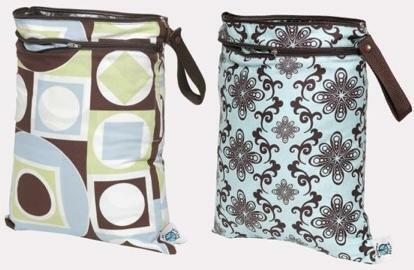 Cover-up your baby’s eco-diapers with a leak-free Air Flow Snap Cover from Mother Ease. Made one-size-fits-all, these adjustable covers have snaps to get a snug fit, but come with leg and waist openings for maximum ventilation. Choose from fun prints such as Savanna, Rainforest, Wetlands, and Oceans. Another green diaper cover option, the Happy Heinys Woold Diaper Covers are reportedly super soft and very fashionable. Made from stretchable natural wool, these covers provide protection without blocking air movement. And they’re worn by all kinds of celebrity babies, too! Don’t forget to cover your baby’s bottom with eco-friendly swim diapers during summer months or swim dates. ImseVimse has designed these swim trunks (they also carry swim suits for girls) to contain messes without causing red marks around your child’s legs. And they’re not absorbent, so they won’t weigh baby down. Never be embarrassed again by your baby’s dirty diapers with this beautiful Planet White Wet/Dry Bag. Available in a wide range of colors, sizes, and patterns, these innovative bags allow you to carry the mess while looking your best. 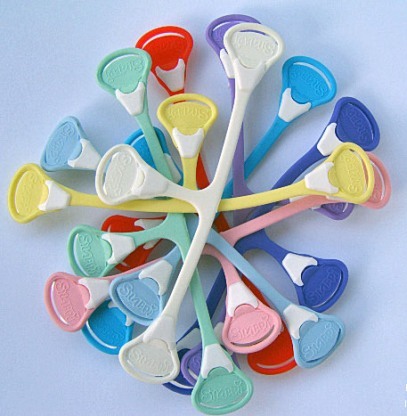 Close up any cloth diaper system with these Snappi Diaper Fasteners – no more pins and pokes! 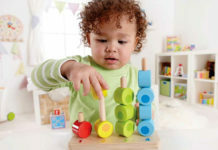 These pin-less fasteners are quick and easy to use, protecting both you and your baby from pin-related injuries. 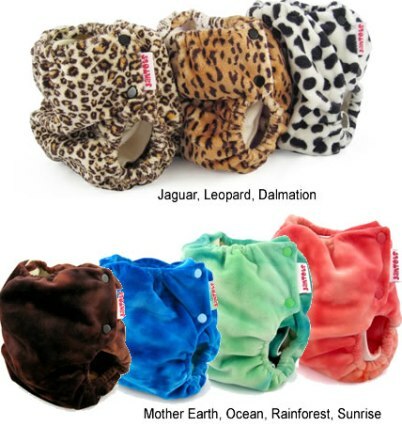 They can also be purchased in a variety of colors to match your beautiful cloth diapers!